Savvas S. Papacostas, MD, FAAN, received his medical degree from The Ohio University in 1986. Also in 1986, he received the Edinburgh Geriatric Tutorial Award. 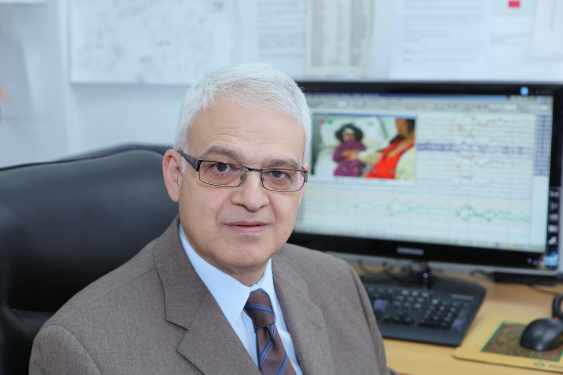 Currently, he is a Senior Consultant Neurologist, Section of Behavioral Neurology and Epilepsy and Head of Neurology Clinic B and Department of Clinical Neurophysiology at The Cyprus Institute of Neurology and Genetics in Nicosia, Cyprus. Papacostas is also a Professor at The Cyprus School of Molecular Medicine of the Cyprus Institute of Neurology and Genetics in addition to being an Honorary Professor of Neurology at St. George’s School of Medicine in London at the Nicosia Campus. Since 2011, he is a fellow of the American Academy of Neurology. Papacostas is also a member of the Technological University of Cyprus Advisory Committee for the creation of the School for Health Sciences in addition to being a Guideline Reviewer for the American Academy of Neurology Practice Parameters. He also organized and hosted the Migrating Course in Epileptology (Pan-European training activity), from the 3rd -9th November in 2013, in Nicosia, Cyprus.